Ever since the evolution of our firm in this industry, we have been engrossed in offering Usha Exhaust Fan. Leveraging by the vast experience of this domain, we are engaged in offering Usha Exhaust Fans. We are engaged in offering Usha Exhaust Fans. - Diameter: 9", 12", 15", 18"
Leveraging the skills of our qualified team of professionals, we are instrumental in offering a wide range of Usha Heavy Duty Fan. We are the leading organizations engaged in distributing an excellent quality Crisp Air Exhaust Fan. 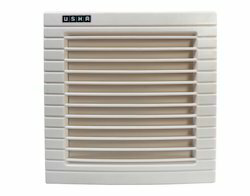 We are engaged in offering a range of Usha Exhaust Fans. We take a huge pleasure in the market by offering best and quality assured array of Usha Exhaust Fan. 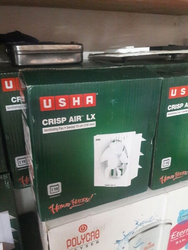 Backed by our vast industry knowledge in this domain, we are actively engaged in offering Usha Crisp Air Exhaust Fans. To meet the requirements of our clients, we offer Usha Turbo Exhaust Fans.